Every day great stories unfold at Illinois Tech. They can be the latest innovations in engineering and science; discussions on architecture and design; studies on law and policy; or explorations in human sciences, technology, business and entrepreneurship, and much more. The Office of Marketing and Communications at Illinois Tech has created a new website to share these stories with the world. 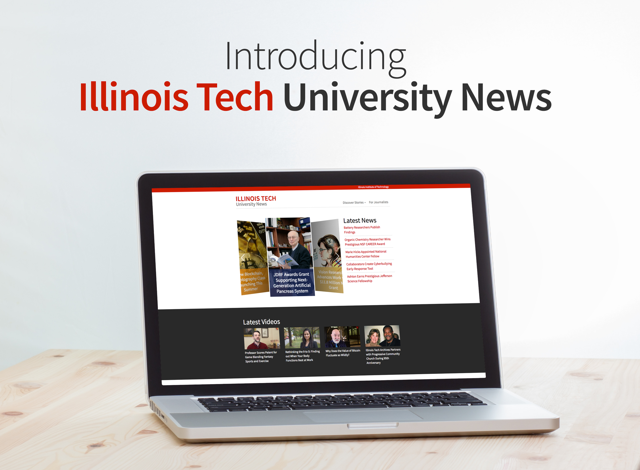 From articles to media mentions to videos, Illinois Tech’s many audiences can follow the daily news from our university—now in one place. 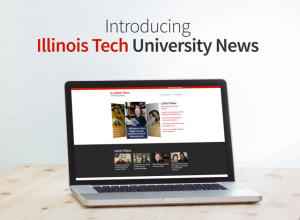 This new Illinois Tech University News website does not replace Illinois Tech Today, a twice-weekly resource exclusively for internal audiences: students, faculty, and staff. You will continue to receive Illinois Tech Today in your inbox. Marketing and Communications thanks the communications staff throughout the university for their assistance in providing content for the site. We hope that you enjoy this new online resource and share it with your constituents.